The wooden crate was used as a design element in gaming to complicate space and form architecture within a virtual world. Abandoning its original function as a transport medium they merely stood as aesthetic articles enriching the virtual experience. 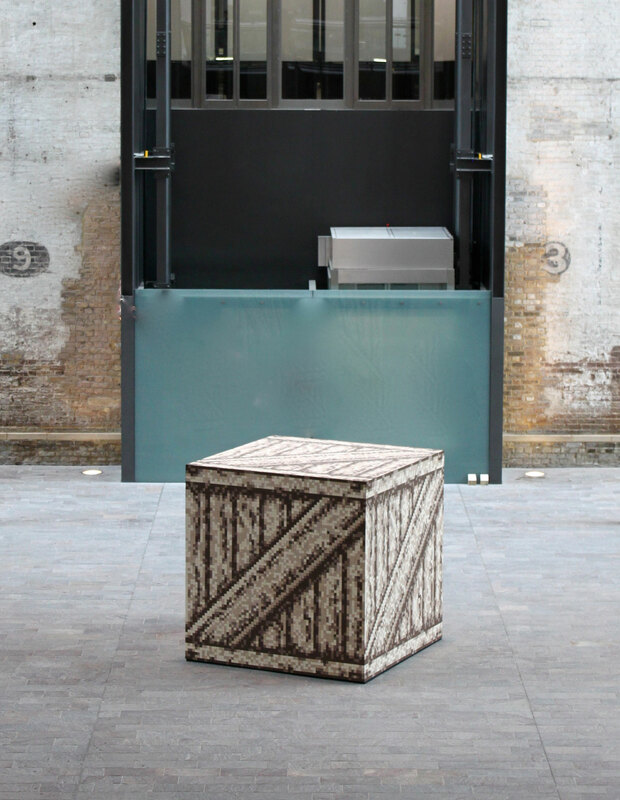 The image map, which is always the same, transforms the wooden crate into a generic, duplicatable and locationless object. 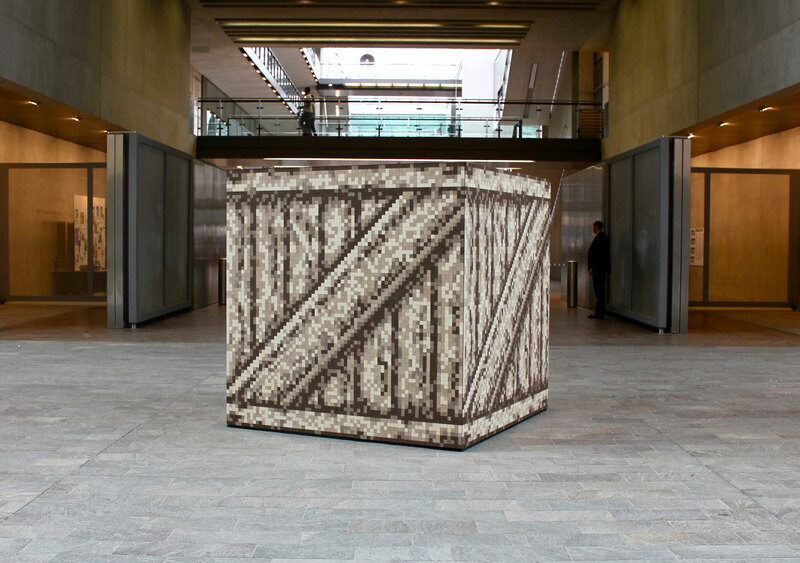 In Crate, what has been simulated in the virtual world as a texture covered form is relocated into the world from which it originated. 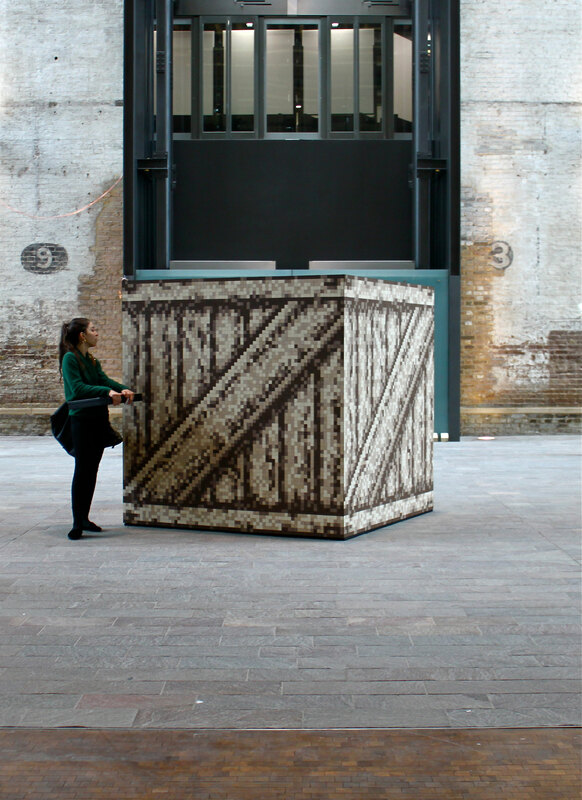 The temporality of Crate is designed to evoke a sense of mortality. In the virtual world the recurrent textures are immaculate and immutable, they never wear out. Left unpreserved, the hardwood veneers will age: the walnut will silver, the cherry pinken, and the oak darken. The image and form will possess a life cycle.